The loss of sight or a less than fully functional sight can be devastating and very inconveniencing both to the individual directly affected and those around him/her. As we keep making steady advancements in the areas of science and technology, more ways of improving health in general and sight related conditions specifically continue to emerge. One of such ways is LASIK surgery. 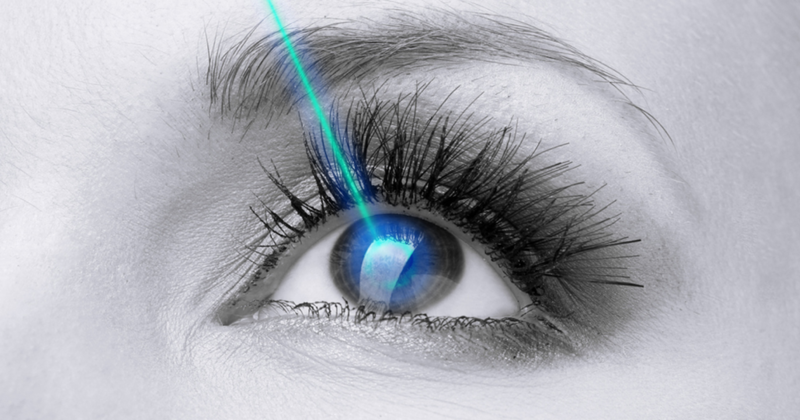 LASIK is an acronym for laser-assisted in situ keratomileusis which is a combination of English (laser-assisted), Latin (in situ) and Greek (keratomileusis). This actually translates directly into English as laser-assisted on-site cornea reshaping. 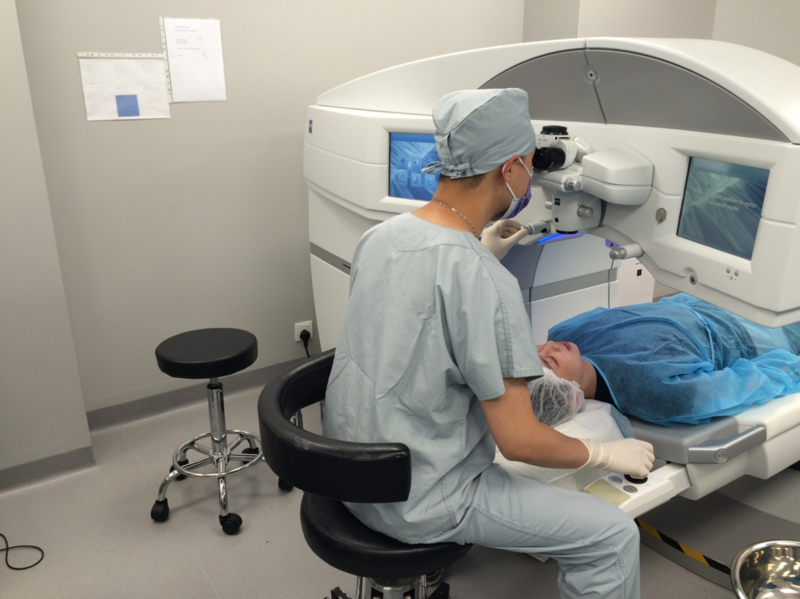 It is a surgical procedure that is used in the treatment of eye conditions such as astigmatism, hyperopia and myopia. This procedure, as we can already deduce from the English interpretation of the name, involves the reshaping of the cornea using laser. In some cases, a microkeratome is used instead of laser. Eye surgeries can generally be quite scary. However, a normal LASIK procedure is not something to be afraid of. The entire procedure, if performed on both eyes can actually be completed in about 15 to 20 minutes and painlessly too. This procedure is not suited for everyone and every eye case. The success that will be recorded will be largely dependent on the suitability of the patient. Remember that the whole essence of the procedure is to reshape the cornea to allow it focus light better on the retina for a clearer focus. The very first stage of the procedure involves the use of a surgical precision tool, a microkeratome (of course this will be after the application of a few drops of topical anesthetic drops). This tool or a femtosecond laser is used to cut a very thin, round flap in the cornea. Once this is done, the stroma (which is the cornea beneath) can be accessed by gently folding back the flap. This allows the surgeon to use another laser known as an excimer laser to remove the amount of tissue that needs to be removed. The purpose of the removal of these corneal tissues is to get the cornea into a shape that allows it focus light more efficiently on the retina. The amount of tissue to be removed and how it will be removed will depend on the condition being treated. Myopia is treated by flattening the cornea, hyperopia is treated by achieving a steeper cornea while astigmatism is treated by smoothening out the cornea to achieve a more normal shape. Once the procedure is completed, the flap is allowed to fall back in place. It will cover the area where the tissues were removed from and then it will heal naturally. You can read more about this procedure here. In a few cases where this procedure has not been very successful, the patients have reported a few side effects like pain and chronic dry eye. Some noticed other vision related complications and some had to go back for correctional surgery. This is probably one of the most important aspects of this procedure. Where you get the procedure done to a large extent determines how much success you will record. You will recall that we stated earlier that this procedure is not suited for everyone and that the success rate will be determined by the suitability of the patient for the procedure. If an unsuitable candidate is operated on, it is possible that some of the side effects we mentioned earlier will begin to manifest. How then can you ensure that you are a suitable candidate for this procedure? Well, you can’t because it’s not your role to determine this. At a professional facility like Crews LASIK & Cataract Center, the procedure will not be carried out without proper testing. Aside from testing to ensure that a patient is a suitable candidate, the health of the eye is also ascertained. Only after necessary tests have been conducted would this procedure commence. Before settling for a facility, be sure that the facility is suitably equipped and the professionals working in it well qualified to handle this procedure. It is usually best to ask for referrals or check for reviews from folks who have had their procedures done at any facility you may be considering. The task of improving your sight is a very important one and must not be taken lightly or left in the hands of unqualified persons.